(< 100 MHz) voice systems, the standard includes a recommendation to limit balanced twisted pair backbones to 90 m (295 ft) for data applications. Total length between active equipment connections should not be greater than 100 m (328 ft). 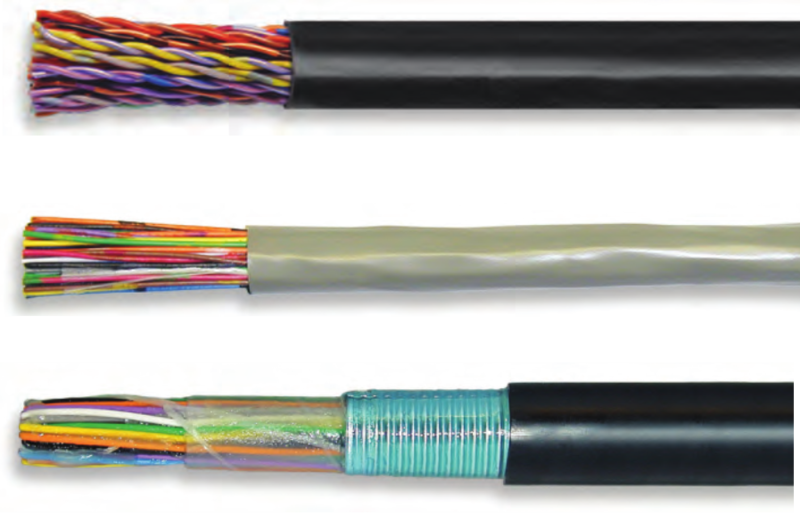 These cables are used for voice and data communications, interconnection of telephone key systems, PBX and intercom systems. They are available for indoor as well as outdoor use, with different constructions and specifications. The indoor cables are offered for both plenum (CMP) and riser (CMR) applications, whereas the outdoor cables are designed for duct or direct burial applications where protection from moisture is required and aluminum shielding is desired.